In this stunning novel about judgment, courage, heartbreak, and change, author Silas House wrestles with the limits of belief and the infinite ways to love. In the aftermath of a flood that washes away much of a small Tennessee town, evangelical preacher Asher Sharp offers shelter to two gay men. In doing so, he starts to see his life anew - and risks losing everything: his wife, locked into her religious prejudices; his congregation, which shuns Asher after he delivers a passionate sermon in defense of tolerance; and his young son, Justin, caught in the middle of what turns into a bitter custody battle. With no way out but ahead, Asher takes Justin and flees to Key West, where he hopes to find his brother, Luke, whom he'd turned against years ago after Luke came out. And it is there, at the southernmost point of the country, that Asher and Justin discover a new way of thinking about the world, and a new way of understanding love. Southernmost is a tender and affecting book, a meditation on love and its consequences. The rain had been falling with a pounding meanness, without ceasing for two days, and then the water rose all at once in the middle of the night, a brutal rush so fast Asher thought at first a dam might have broken somewhere upstream. The ground had simply become so saturated it could not hold any more water. All the creeks were conspiring down the ridges until they washed out into the Cumberland. There was no use in anyone going to bed because they all knew what was going to happen. They only had to wait. We go on a long journey in Southernmost: not just a literal road trip from Tennessee to Florida, but also a spiritual passage from judgment to grace. Reconciliation is a major theme, but so is facing up to the consequences of poor decisions. I loved House's characters and setups, as well as his gentle evocation of the South. His striking metaphors draw on the natural world: "She had the coloring of a whip-poor-will," "The sky is the pink of grapefruit meat" and "The horizon has changed to the red of a geranium." 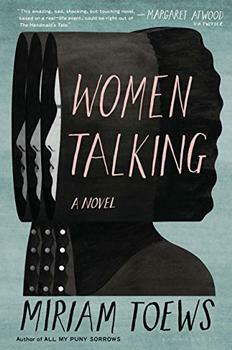 It's a beautiful, quietly moving novel of redemption and openness to what life might teach us. (Reviewed by Rebecca Foster). Although it starts slowly, the story leads to a seemingly inevitable yet suspenseful climax that will leave readers floored. House's fine moral drama pleasingly mixes spiritual reflection and a story of personal healing with brilliant descriptions of summer days in languid Key West. House's tale will strike a chord with those who have taken their own arduous path to acceptance, just as it may bring enlightenment to those who are trying to understand the experience of others. 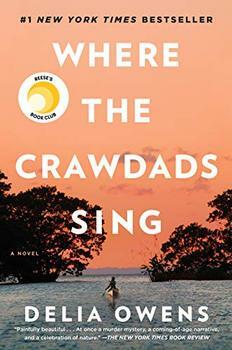 A road novel that mixes warmth, empathy, tragedy, and hope. Southern novelist House's new book is a paean to the wisdom of the heart and the remarkable ability of humans to listen to that wisdom despite a lifetime of believing (or preaching) intolerance. Starred Review. [House]'s storytelling is rich, but also spare, with descriptive passages that engage all five senses without overstating the profundity. And his characters ... are so complicated and real that it's a shame to have to put the book down ... Most of all, Southernmost is a reminder that life is hard, and it is beautiful. Starred Review. Plumbing the depths of love and judgment, this novel is surprising in the places it'll take you. It's an unflinching yet generous portrait of rural America that's honest, refreshing, and complex. A spiritual journey, a love story, and a classic road novel ... With its themes of acceptance and equality, Southernmost holds a special meaning for America right now, with relevance even beyond its memorable story. Silas House's characters are as real to me as my own family. Southernmost is a novel for our time, a courageous and necessary book. Southernmost is an emotional tsunami...This is a story of faith lost and love found, and what we must throw overboard on the journey in order to keep moving. A treasure. This beautifully crafted novel brims with a spirit of hopeful humanity as one man's effort to make himself a better person casts ripples in the world around him. In Silas House's moving new novel, a pastor wrestles with a crisis not just of faith, but of all the apparent certainties of his life: a crisis of marriage, of community, of fatherhood. This is a novel of fierce love and necessary disaster, of the bravery required to escape the prison of our days, to make a better and more worthy life. Southernmost engages my most deeply hidden fears and hopes. Silas House has all the gifts of a passionate storyteller, and to this book he adds the heartfelt convictions of a man willing to voice what we so seldom see in print - the ways in which with all good intentions we can mess up and go wrong, and only later try to sort out how we can win our own redemption. I love this book, and for it, I love Silas House. In Silas House's Southernmost, Asher's estranged brother Luke sends him postcards with quotations from books, poems, and songs that serve as secret messages passing between them. Here's a closer look.